Kristiann is no stranger to TorontoVerve, appearing a total of 3 times since February. 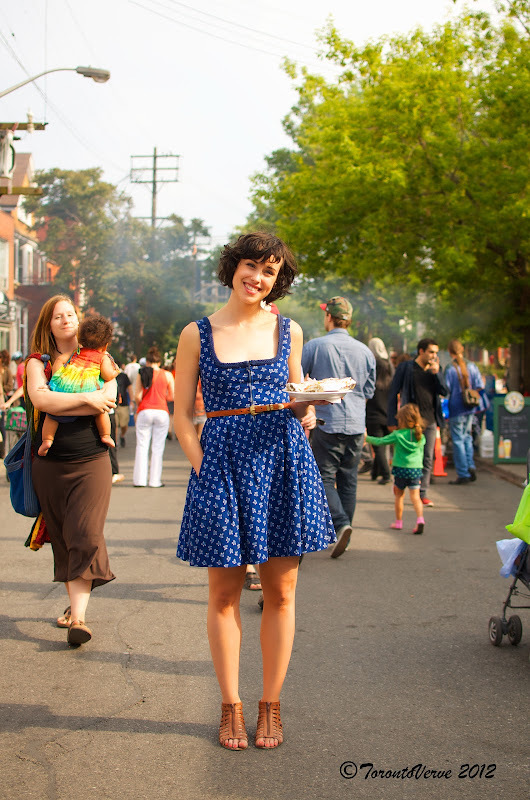 I ran into her again while she was purchasing hot tamales in Kensington Market on Pedestrian Sunday. Here, she's wearing a fashionable Austrian dirndl. Kristiann is a designer and plans to release her latest DIY designs this summer on her website Victory Patterns. To check out Kristiann's previous appearances, click here.